Every now and again we get letters from people who are actively working in the mining industry, who want to share their experiences. So we thought we’d pass on this one about a typical day in the life of a person who’s working in a mining job to give you an idea of what to expect when you find that dream job in the mines. Beep beep beep beep. Uuuurrrrg! Well another day another dollar, I say to myself as I slide out of bed. It’s 4am in sunny Middlemount, Queensland although not even the sun is up yet. I flick on the early morning news and jump in the shower. ‘Blue chip shares rose again over night due to the expansion of coal mining operations in the Bowen Basin’, I hear the news reader say through the hot water raining over my head. I throw on my work gear and a pair of thongs, time to grab some breakfast. I can smell the bacon as soon as I open my donga door. “Mmmmmmmm better than mums”, I say to myself (although I’d never tell her that). I grab a plate and start with some poached eggs, grilled tomato, crispy bacon and a side of beans. It barely touches the sides as I inhale all that is on my plate. I pack my lunch and grab a takeaway coffee and head back to my room. 4:30am! Shivers! I better get cracking. I’ve got to be at ‘Rio Clermont’ at 6am. I duck back into my room and grab my bag of gear. Hard hat, riggers gloves, harness, lanyard, and boots. Whoops, nearly forgot my whistle. I jump in the ute and head to the crane yard. As I arrive I see Baz ( my crane operator ) pre-starting his crane. It’s a 250t Liebherr and he needs to make sure that the big girl is good to go for today’s big lift. I jump out of my ute and throw my hard hat on and climb the lead trailer of the road train that carries our chains and counterweight. Gotta make sure we have what we need for the job, 2 x 50t slings and 4 x 50t shackles. Good stuff! I say to myself as shut the riggers box and climb down off the trailer. “Good to go mate?”, I yell out to Baz. “Yep, let’s do this!”, he replies with a little too much energy for that time of the morning. We arrive at the Rio Tinto site boom gates and the security guard approaches the window. “Morning boys”, she says cheerfully. After an exchange of greetings and small talk she presents the alcohol tester and gives me the all clear. “Yeah 168, got ya”, replies Johnno the fitters supervisor. “Mate, just bringing the crane in for the shovel build is that ok with you guys?”, “No worries 168 just park it up on the left as you come in.”, “Copy that”, I reply and enter the build pad with the crane right behind me.� Just as I park up the ute, the sun sheds light on the face shovel. The size of a small apartment block, it is the biggest shovel in the area, capable of moving more dirt in one bucket full than most excavators will move in a shift. Today we are replacing the bucket on the beast. Weighing a little over 84 tonnes it will be the biggest lift of my career. We enter the crib shed at the back of the build pad and say hi to the rest of the crew. The fitters supervisor commences the toolbox meeting to outline the plan for today. He explains his plans and we conduct all our risk assessments to ensure the job is done safely. We then head out to set up the crane. Setting up the 250 is no easy feat. We position her alongside the bucket so we can be as close as possible with just enough room for the outriggers. After the crane is jacked up and level with all 90 tonnes of counterweight on the top deck, I jump down off the crane and climb the lead trailer. Whistling for the crane to slew left and rope down, I quickly open the lid of the chain box and get the slings ready, just in time for the giant hook of the crane to reach my hands. I slide the slings over the hook and whistle again for the crane to take them up to the top of the bucket. Too tall to climb with any ladder, I call out to one of the fitters driving the boom lift to take me to the top of the bucket as well. Once I’m up there, I get a real appreciation of the size of this lift. Standing at around 6 metres high and about the same in width the bucket dwarfs the crane’s upper deck in height. “All rigged up and ready to go”, I say to Baz over the 2-way. I tell him to rope up and take 20 tonne of the beast. The boom of the crane flexes like a fishing rod snagged by a rock. “boom up to fifty”, I say, watching the rope to make sure it stays plum. My heart is racing! If this doesn’t come up perfect it could swing and damage the crane or even pull the whole thing over. I call for Baz to boom up again taking a total of 70 tonnes. My heart feels like its about to burst out of my chest as I make the final call to rope up steady. Finally the back of the great beast lifts from its resting place moving slightly away from the crane. “Jib up, jib up”, I call over the radio. Barry responds just in time as the teeth of the bucket crack from the earth, hovering perfectly above where they once lay. Breathing a little easier, I take it up in the air just enough to back the float under it. As the truck hisses with the sound of the park brake engaging, I rope the bucket down transferring the weight to the trailer which creaks under the load. Wiping my forehead I can nearly taste the cold schooner of beer waiting for me back at the Middlemount pub after knock off. We pack up the crane and head back to the yard with a silent sense of accomplishment, wondering what lays in wait for tomorrow. Note from iMINCO: This is one of many stories we’ll be featuring over the coming weeks. Make you sure you don’t miss any by getting your copy of the iMINCO Project News email newsletter each week. It’s written by the team at iMINCO and contains useful links to resource projects, jobs and industry news that helps you get the edge over job seekers. Get your copy today, register your details and you can even read a few back-issues too. 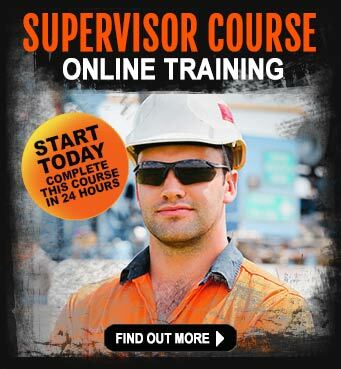 What types of training do you need to get a similar job? 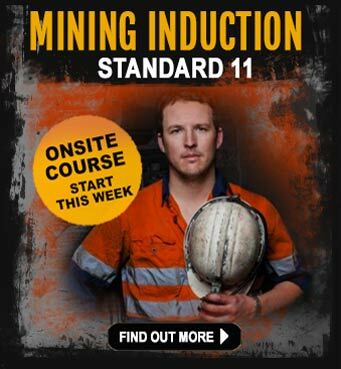 Do a mining induction safety course, this is essential if you are a new-starter in the industry. You will also have to pass a medical examination called the Coal Board Medical. This is part of your preparation for a job in the mines as you will be working in a physically demanding environment, so you need to be healthy and fit. When you’re working on a huge mine site, getting around is often done by 4 wheel drive vehicles. Interestingly, it’s been reported that the most accidents on a mine site are related to vehicles, particularly 4 wheel drives. 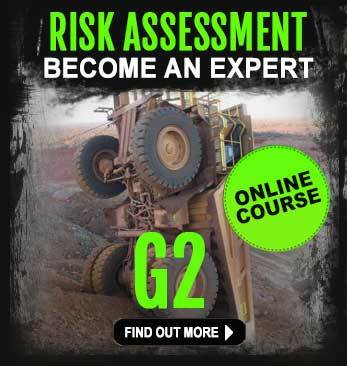 We recommend you complete a 4 wheel drive course that will teach you how to drive safely on a variety of surfaces and also how to maintain an off-road vehicle (very important). If you’re looking to work as an all-rounder in the mining and resource sector, there are other useful qualifications you might consider, apart from having a First Aid certificate, you might want to look at obtaining your Confined Spaces and Work Safely as Heights qualifications. 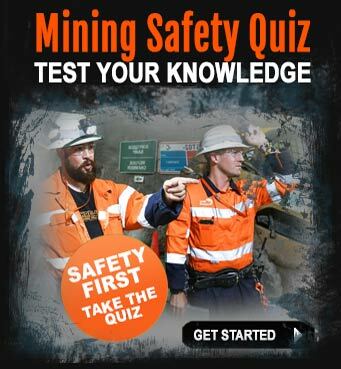 Mining companies and recruiters always favour these tickets because it shows you have invested in yourself and have the right safety attitude – which again, is highly regarded in an industry where Work Health and Safety is a prime focus. The biggest complaints we hear all the time is from people who have applied for jobs – only to hear nothing back. This is common across many industries and not just the mining and resource sector. There is always going to be competition for mining jobs because of the high salaries and promotion opportunities. This being the case, you have to start to thinking of new ways to beat other people who are applying for jobs and get that interview. Step one is to first review your resume before you even consider applying for a mining job. Recruitment companies and mining companies have dedicated human resource people who are trained to look for specific keywords and qualifications in your resume. Most of the time, your application may not even be seen by a human, because resume scanning is the first ‘sentry’ you need to get past. The primary function of resume scanning software is to weed out unqualified candidates. One of the ways you can “beat the machine” is so have a good resume prepared for you. Professional resume writers create your resume with resume scanning software in�mind. They understand how to structure your resume, add just the right mix of keywords and balance them throughout your resume. Sure, you may have to invest a little bit of money to have someone write your resume for you, but if it’s going to land you a $100,000+ job, it’s sort of worth it� – don’t you agree? So you’ve passed the first selection test and now you’ve been called in for an interview – this is when panic can set in. For most of us, we don’t handle interviews well because we feel we’re under the spotlight and of course there is a lot hinging on you getting this job. One thing to remember is, an interview doesn’t have to be like you’ve been summoned to the headmaster’s office. Think of it as more of a casual conversation about what’s on offer, how you can make a difference in the job and also what the company can do for you. It’s as much about you as it is about them – remember that! To help you prepare for the interview, we’ve created an e-book called interview tips for mining jobs, it’s FREE. All you have to do is email the book to yourself, then check your email. The book is in a convenient PDF format, so it’s easy to read and print. Good luck on your job hunt – before I forget, see a list of mining job vacancies on the iMINCO jobs board – sign up for job alerts too.